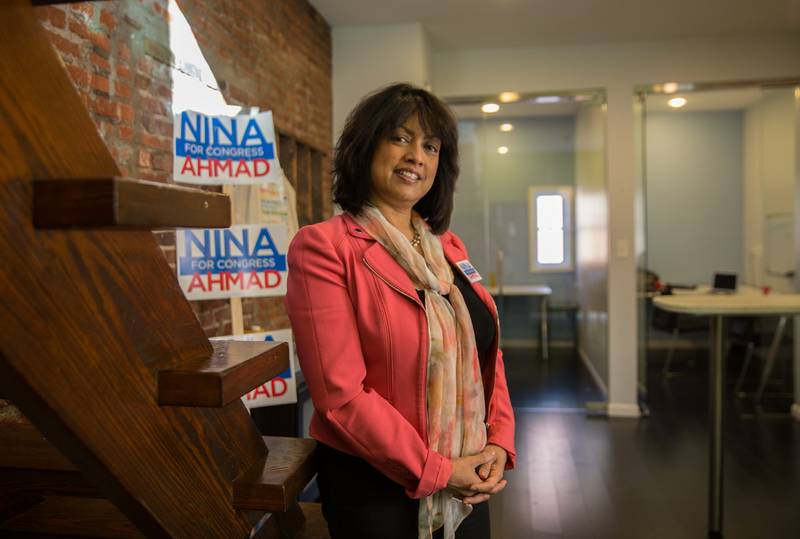 KEYSTONE CROSSROADS – Sandwiched in an office between an eyebrow threading salon and a gadget repair shop in South Philadelphia, congressional candidate Nina Ahmad has been closely studying the Pennsylvania Supreme Court’s recent decision to strike down the state’s district map. “We’re still keeping the date of the election … potentially the same?” asked Ahmad. “That’s what they say,” responded campaign manager Mike Szustak. “But the petition gathering will be affected — clearly,” said Ahmad. Ahmad, a scientist and former Philadelphia deputy mayor for public engagement, is one of the challengers running against incumbent Bob Brady in the 1st Congressional District’s upcoming Democratic primary. Last week’s Pennsylvania Supreme Court ruling has thrown a wrinkle into that effort. The court says the congressional district map violates the state constitution, and Ahmad is one of many candidates running for congress across the state that find themselves in a conundrum as they await the possibility of a new map. Reversing a lower court’s recommendation, the majority Democratic court ordered the state legislature to draw a new map within a three-week window and have it approved by Governor Tom Wolf by Feb. 15. If Wolf and the state legislature can’t agree on a map within that timeline, the Pa. Supreme Court has said it will create one itself, and has already enlisted a redistricting expert should the need arise. Republican defendants in the case say the court overstepped its bounds. Top GOP leaders criticize the court for failing to explain the standard under which partisan gerrymandering should be considered illegal. They’ve filed an emergency appeal to the U.S. Supreme Court to stay the Pennsylvania court’s decision. On Monday, Justice Samuel Alito asked plaintiffs to respond to the stay request by the end of the week. As the uncertainty swirls, candidates who have been mounting their campaigns — some for more than a year — are now left hanging in the balance unsure of where new district lines could be drawn. Even though the ruling has caused some confusion in her campaign’s schedule, Ahmad agrees with the state Supreme Court’s decision to throw out the map. 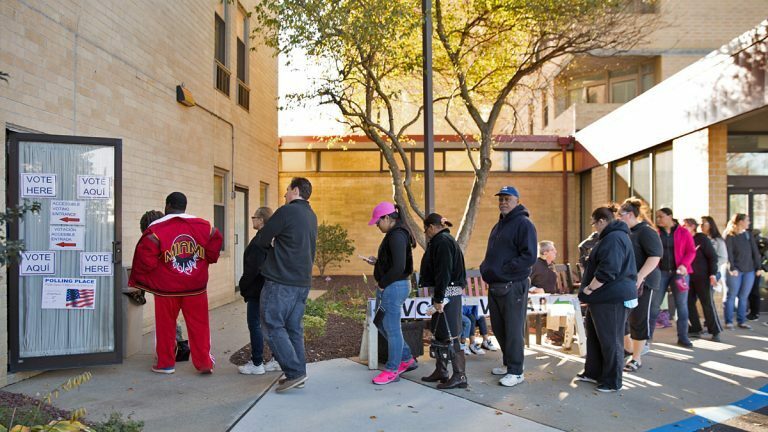 “I think this is good for democracy, that we are undoing these terribly gerrymandered districts in Pennsylvania,” said Ahmad. Brady, chairman of the Philadelphia Democratic Party, has been in office for 20 years and is facing a federal probe into his 2012 campaign. Still, to say Ahmad’s a long shot in the race is an understatement. During a federal gerrymandering trial in December, a top Republican aide testified that Brady was involved in the creation of the map in 2011. Although that process was controlled by Republicans in the statehouse, the map did garner significant support from Democrats, who saw some seats made seemingly safer for Democratic incumbents like Brady. Brady says his involvement in the last redistricting effort was very limited. At the time, Brady says then-Senate Majority Leader Dominic Pileggi, presented him with two options for Philly districts: one that split the city into two districts, or one that split the city into three. As currently drawn, the 1st Congressional District hugs along the Delaware River from Northeast Philly to Chester. Ahmad hopes it will become more compact and include more diverse communities in the city like West Philly — one of a few sections of the region carved out of the current shape. “It’s because people did unconstitutional things — that’s why we’re facing this — and I think we have to hold people accountable for that,” said Ahmad. In the meantime her campaign is operating as if the existing map stands. “For me, we’ll just roll with the punches and do what we have to do,” said Ahmad. Pennsylvania’s 1st Congressional District is one of three districts that includes the city of Philadelphia. 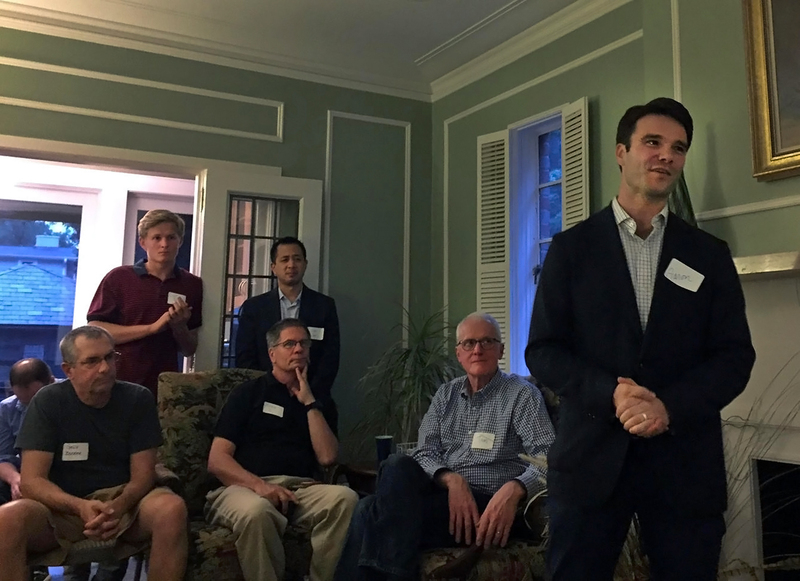 Not all candidates see the court’s decision as fair — especially when they’ve been hustling to get in front of voters in districts that could soon change dramatically. In the crowded field of the 15th Congressional District, more than 10 candidates are vying to replace congressman Charlie Dent, one of five Republican congressmen from Pennsylvania who aren’t seeking reelection. Dean Browning, a former Lehigh County Commissioner is running in May’s primary as a Republican. The 15th stretches about 100 miles across parts of five counties, leaving little way to know which of those communities will be in or out of the next version of the district. After 13 years in office, Republican Charlie Dent is retiring from office in Pennsylvania’s 15th Congressional District. Based on the history of the district, Browning believes the heart of the 15th will be centered in the Lehigh Valley, and that’s where he’s focusing his campaign efforts. This uncertainty is frustrating to Lebanon County Democratic candidate Laura Quick, who has mixed feelings about the court’s ruling. Quick is a UPS worker and former teacher, who managed to nail down an endorsement from the teamsters union. She’s committed to running for congress and to representing Lebanon County. So, depending on how the lines are drawn, she may end up running in a different race. “It’s a mess. There’s just way too many questions right now than answers,” said Quick. Candidates in the 12th Congressional District also have a lot of questions. The oddly-shaped district skirts the Ohio border Northwest of Pittsburgh and then juts Southeast for more than 100 miles past Johnstown. The shape of Pennsylvania’s 12th Congressional District has been compared to a hammer or an anchor. Republican incumbent Keith Rothfus lives in suburban Pittsburgh, and could potentially be drawn out of the district. If that were to happen, nothing in the law would prevent him from still pursuing the seat. Aaron Anthony, a Ph.D. student at the University of Pittsburgh, also lives in the suburbs and fears he’ll be drawn out of the district. He’s hoping to win the Democratic nomination, but would consider dropping out depending on how the map is drawn. Despite the confusion, some Democrats, especially in Republican strongholds like the 5th Congressional District see opportunity with a new map. Marc Friedenberg, a professor at Penn State, is one of the three Democrats running against Republican incumbent Glenn “G.T.” Thompson. Spanning 16 counties from the shores of Lake Erie to Central Pennsylvania including State College, the 5th district is huge. Thompson won handily in 2016 with more than 100,000 votes. Geographically, Pennsylvania’s 5th Congressional District is the state’s largest and most rural. Last week, he released a statement along with Rothfus, Dent and seven other Republican incumbents criticizing the court’s decision. With the deadline for a new map fast approaching and little progress so far from the state legislature, candidates are eagerly awaiting any indication of who their voters could be. Dave Davies, Emily Previti, Min Xian, and Virginia Alvino Young contributed to this report.